Our project manager, Pamela Lama, was invited to present the ROCK project at a High-level Horizon 2020 Conference of the European Year of Cultural Heritage in Brussels in March 2018. 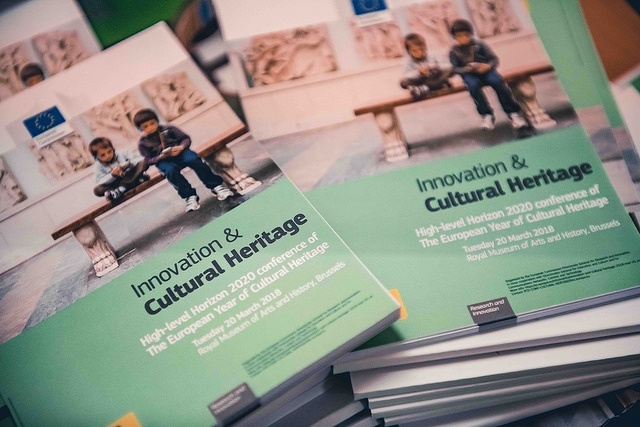 This event, organised by the European Commission in the Royal museum of Arts and History, discussed the future of European policies for Cultural Heritage. 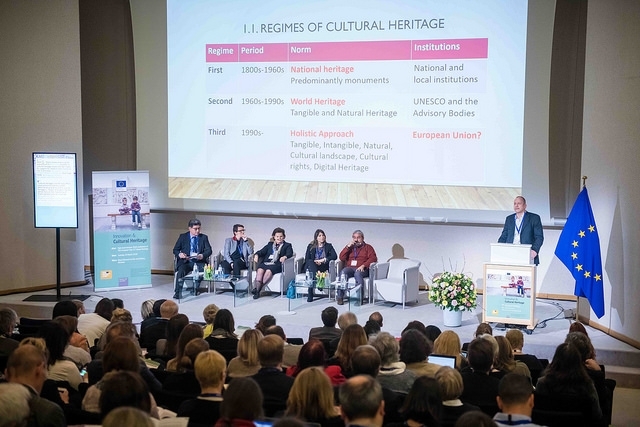 The conference was part of the programme of the European Year of Cultural Heritage and has contributed to its legacy by launching the public discussion about the objectives of European research and innovation policy for Cultural Heritage beyond 2020. Pamela Lama contributed to the discussions with a presentation of the innovative ROCK project, explaining the aim of using cultural heritage to lead regeneration of city centers. She spoke of the different layers of cooperation that make the ROCK project so ambitious: the cooperation between the local actors and municipalities in the living labs, the cooperation between municipalities and research and private actors, and the exchange of knowledge between the role model cities and the replicators. Watch the entire event in video here (Pamela Lama is talking at '2.51) : Video streaming of the event. Read the article in Heritage Times. Download the conference report below.